To religious studies, cosmology is about a theistically created world ruled by supernatural forces. 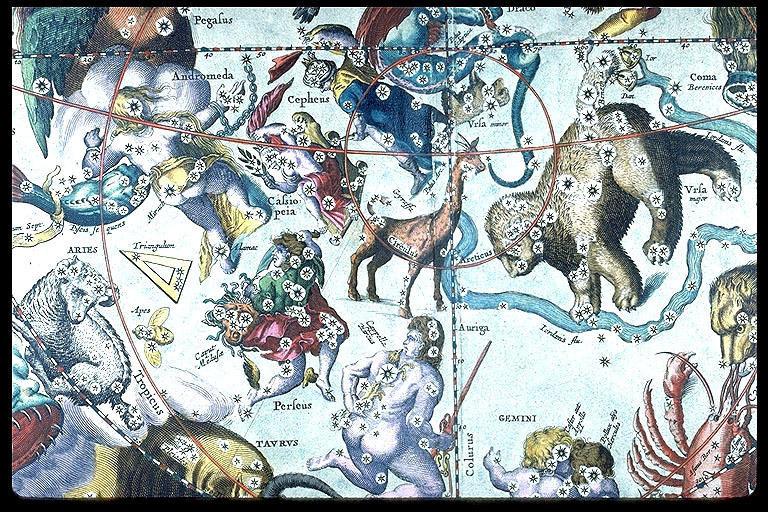 To scientists, cosmology is about a world of controlled observations elucidated by natural forces. We will examine the supernatural cosmologies throughout history, but we will primarily explore the latter type of cosmology (naturalism) in this course. Many of the earliest recorded scientific observations were about cosmology, and pursuit of understanding has continued for over 5000 years. Cosmology has exploded in the last 10 years with radically new information about the structure, origin and evolution of the Universe obtained through recent technological advances in telescopes and space observatories and basically has become a search for the understanding of not only what makes up the Universe (the objects within it) but also its overall architecture. Many of the myths still maintained supernatural themes, but there was an internal logical consistence to many of the stories. The myths often attempt a rational explanation of the everyday world. Even if we consider some of the stories to be silly, they were, in some sense, our first scientific theories. We call this the time of Mythical Cosmology. Because the sun god, Ra, was the pre-eminent god, the annual solar motion along the horizon was a key astronomical observation for the Egyptians. The timing and position of the northernmost and southernmost turning points, the solstices, ultimately fixed the mythology of Egyptian cosmology. Egyptian legend declares that the sky goddess Nut gives birth to Ra once a year, catalysing both calendar development and the concept of divine royalty plus the matrilineal inheritance of the throne. Cosmology in Mesopotamia was much more sophisticated. 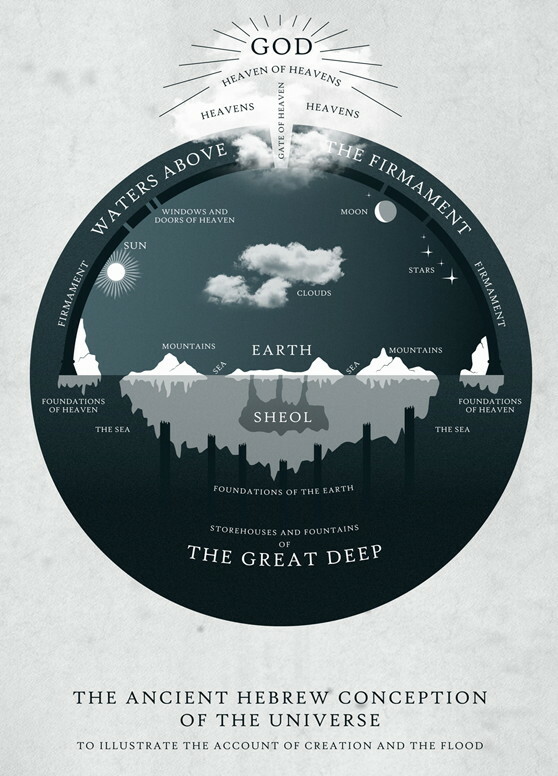 Babylonians believed in a six-level universe with three heavens and three earths: two heavens above the sky, the heaven of the stars, the earth, the underground of the Apsu, and the underworld of the dead. 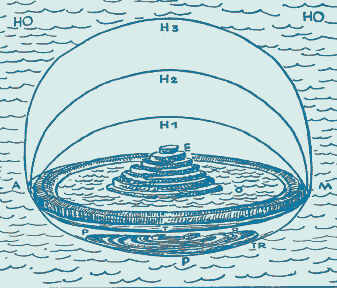 The Earth was created by the god Marduk as a raft floating on the Apsu. The gods were divided into two pantheons, one occupying the heavens and the other in the underworld. In a seemingly unrelated discovery, Euclid, a Greek mathematician, proved that there are only five solid shapes that can be made from simple polygons (the triangle, square and hexagon). 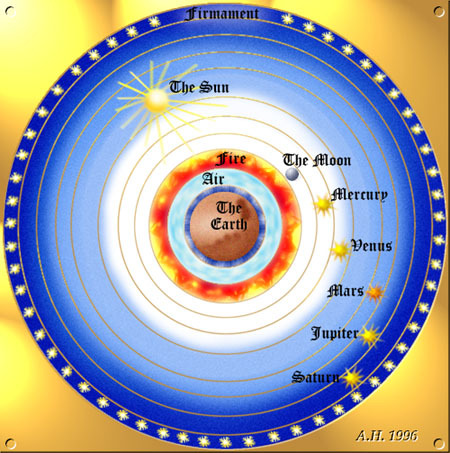 Plato, strongly influenced by this pure mathematical discovery, revised the four element theory with the proposition that there were five elements to the Universe (earth, water, air, fire and quintessence) in correspondence with the five regular solids.